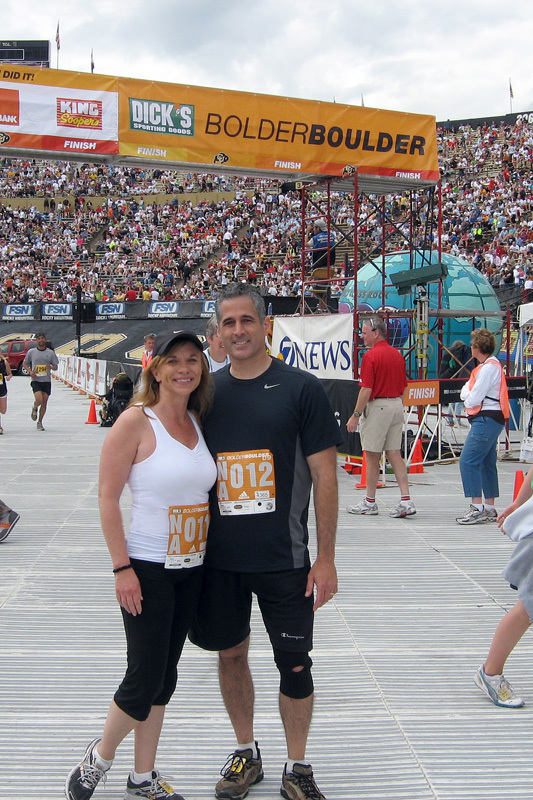 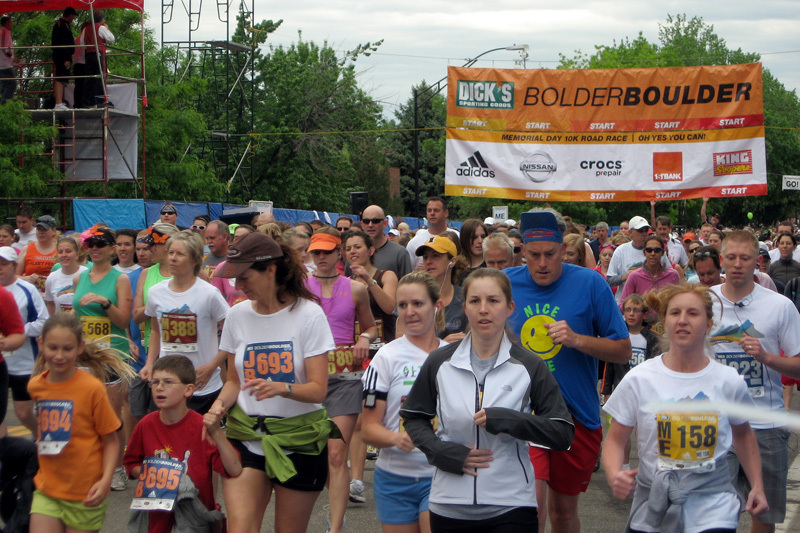 This year we finally participated in the annual Bolder Boulder 6K race which is an annual Memorial Day tradition in Boulder. 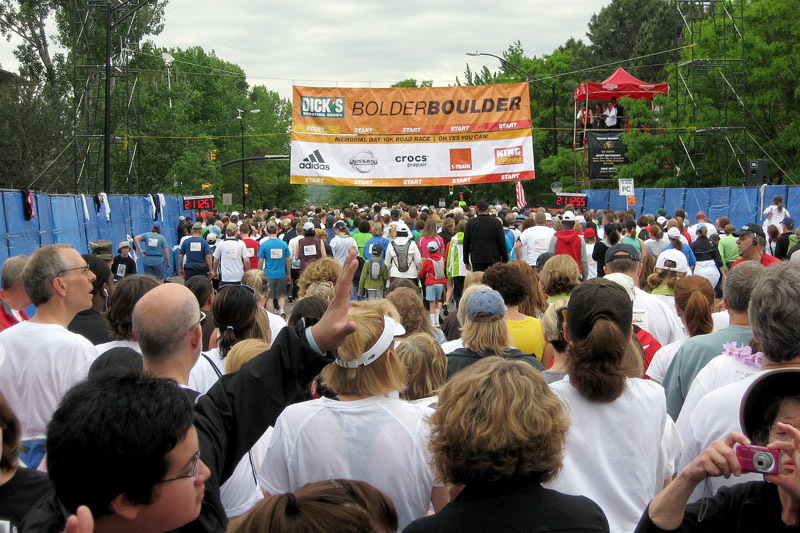 The Bolder Boulder is the largest race in the US in which all participants are timed and for the elite runners has one of the largest non-marathon prize purses. 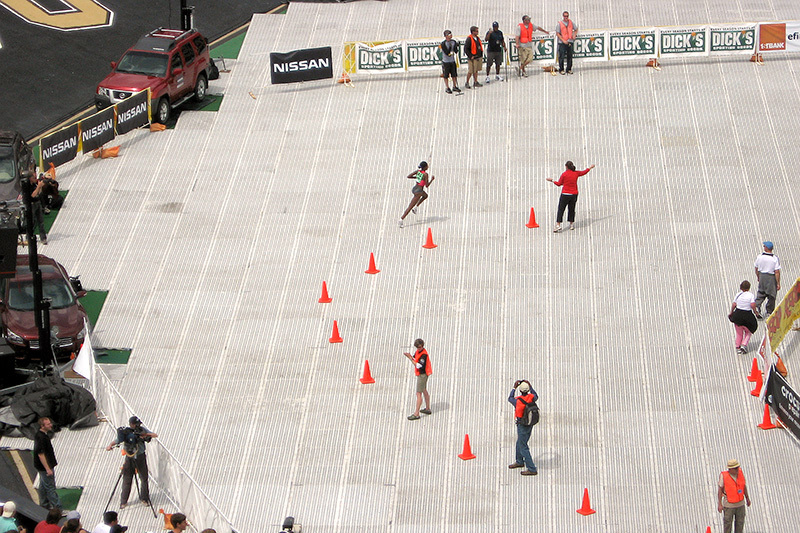 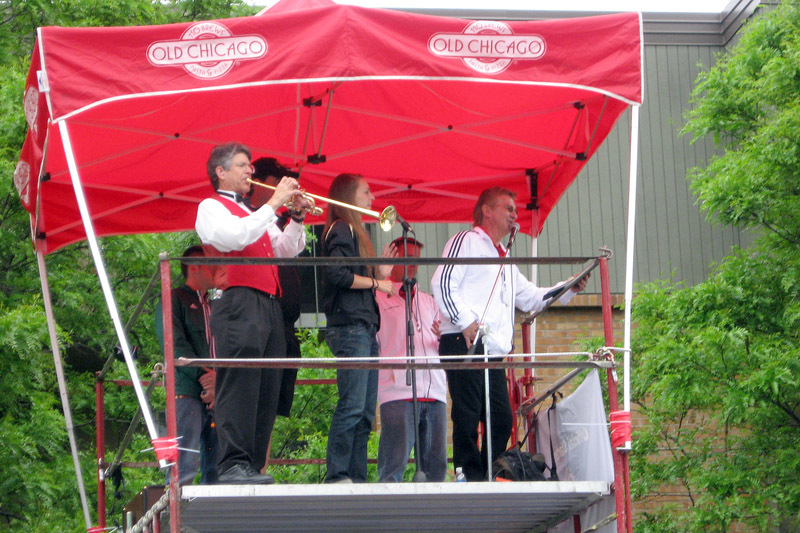 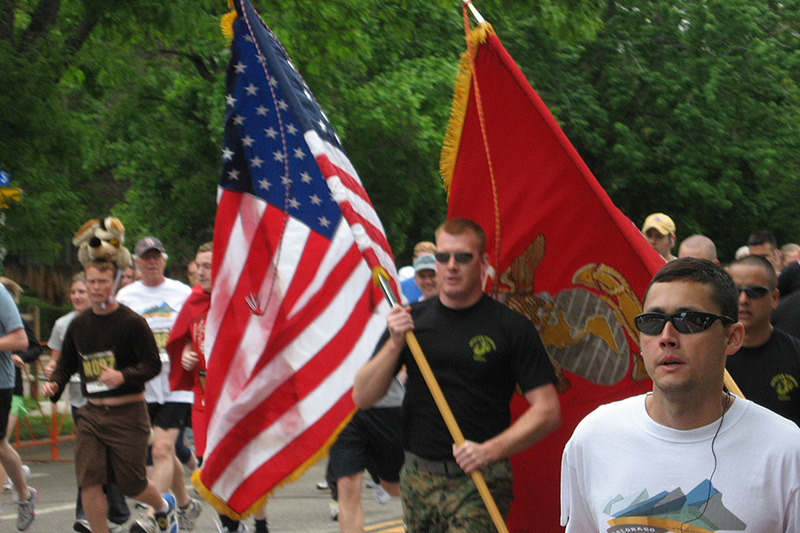 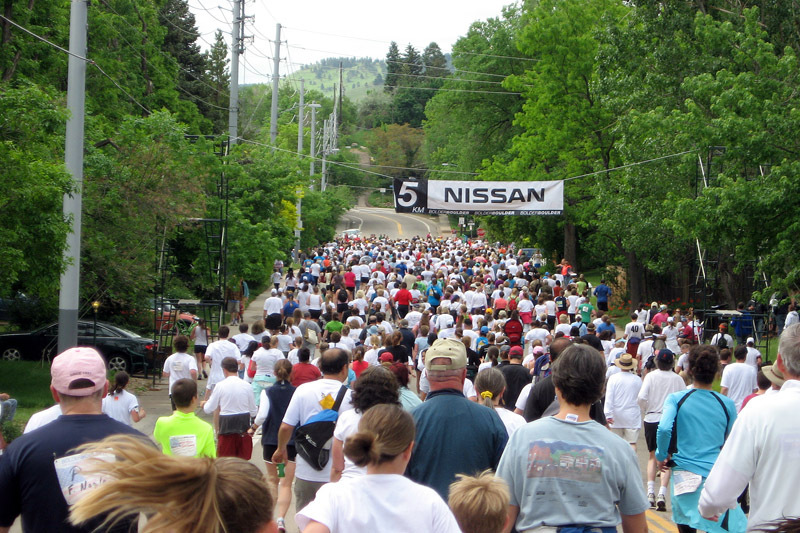 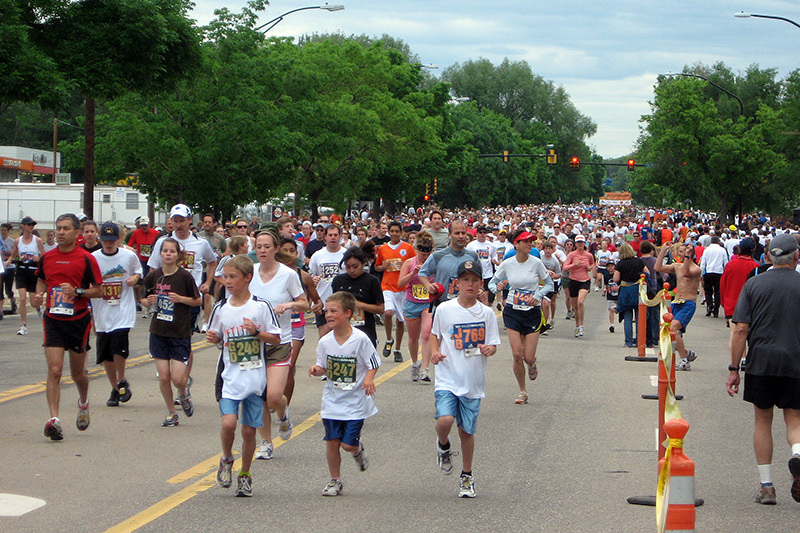 This year the race featured over 54,000 runners, walkers and wheelchair racers. 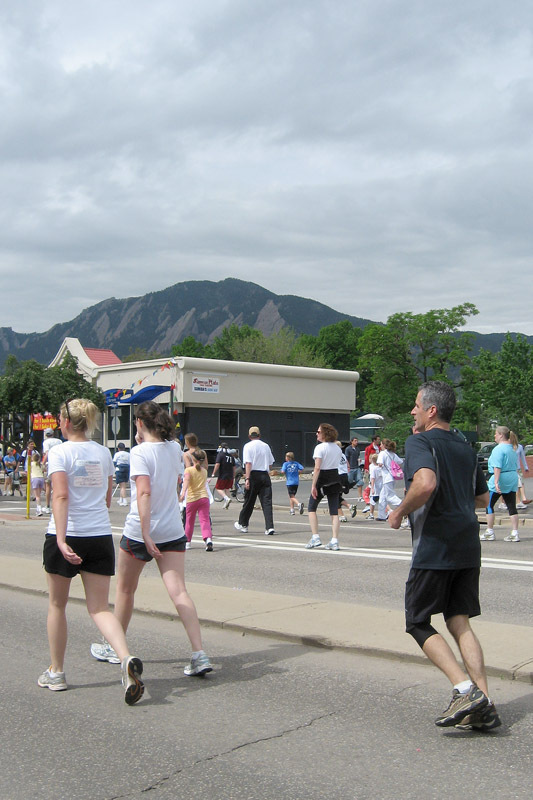 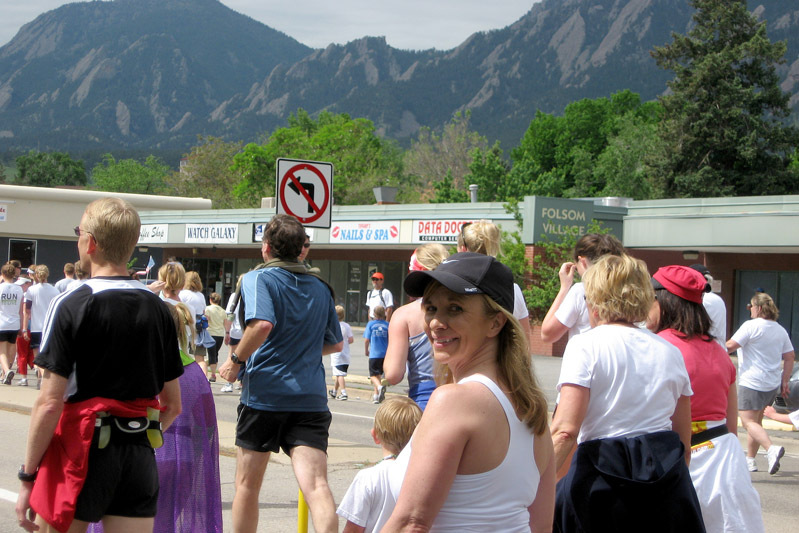 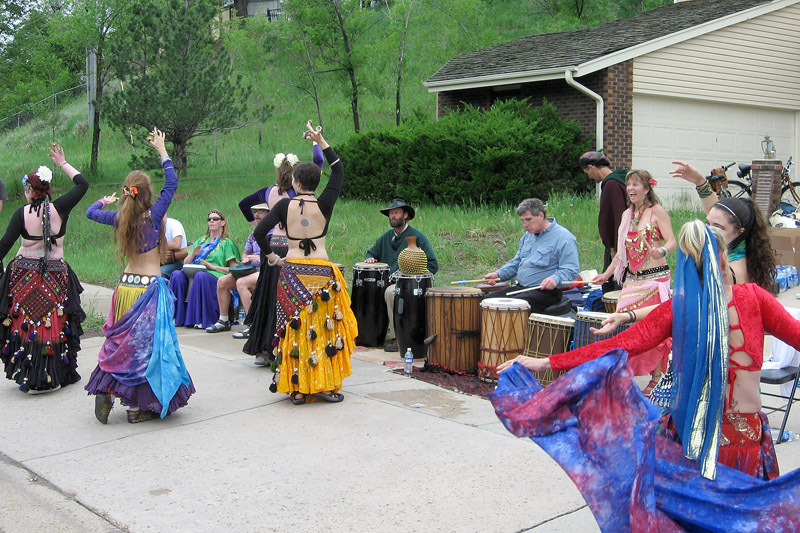 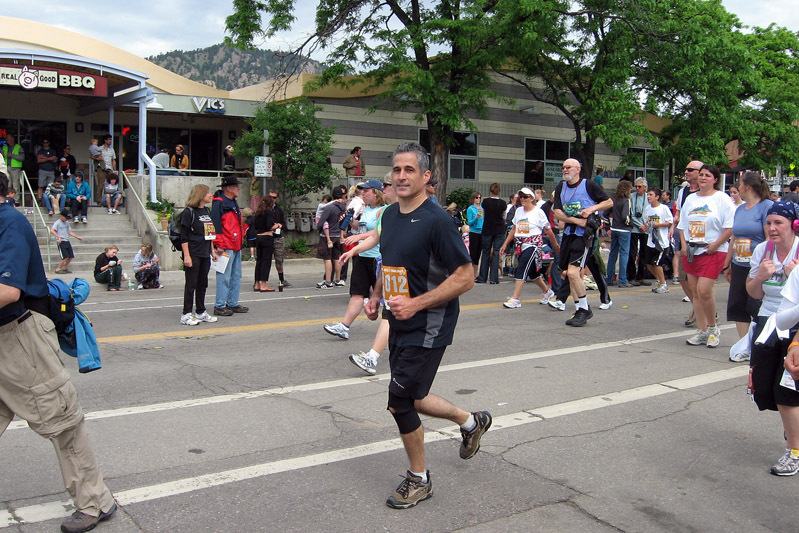 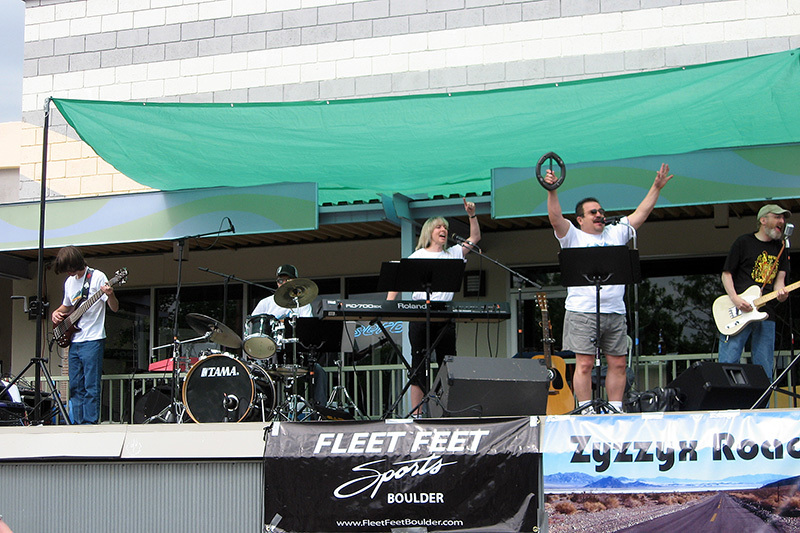 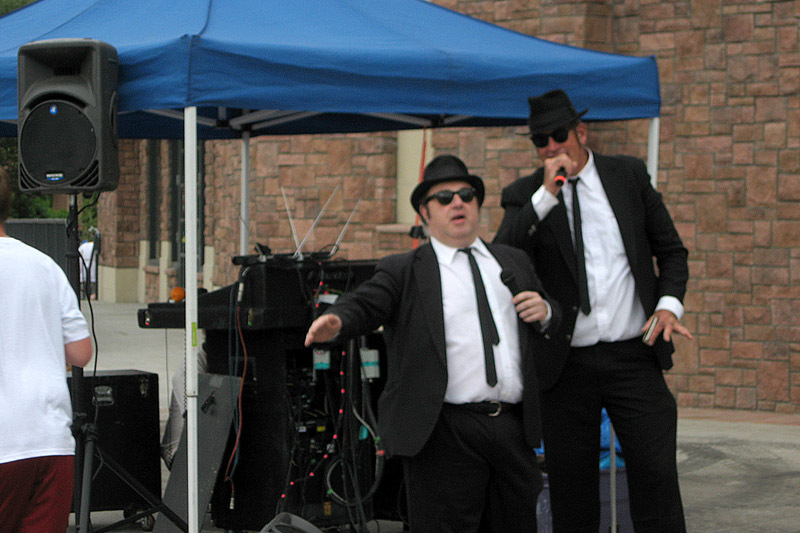 The race is also known for all the fun along the route including various bands, street performers and numerous front yard parties in true Boulder weird fashion. 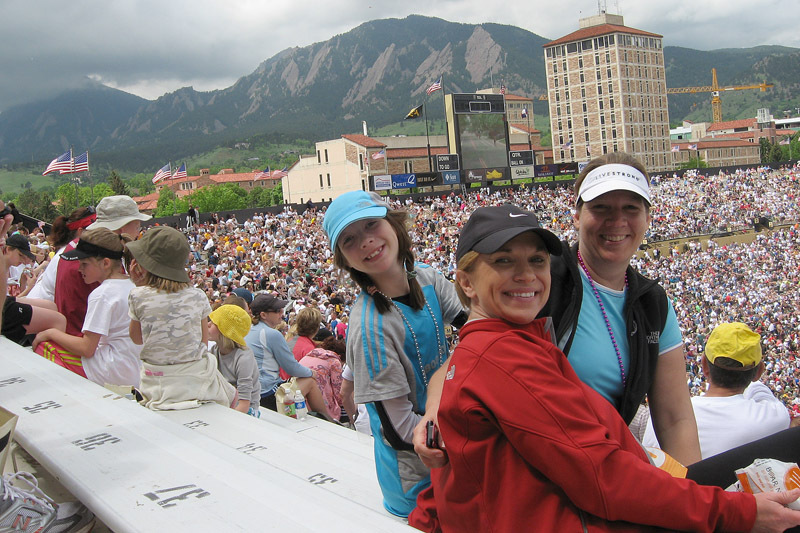 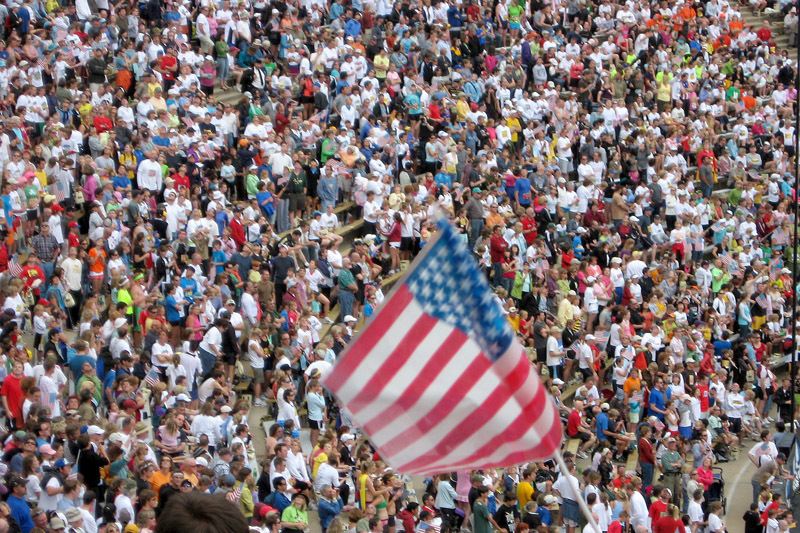 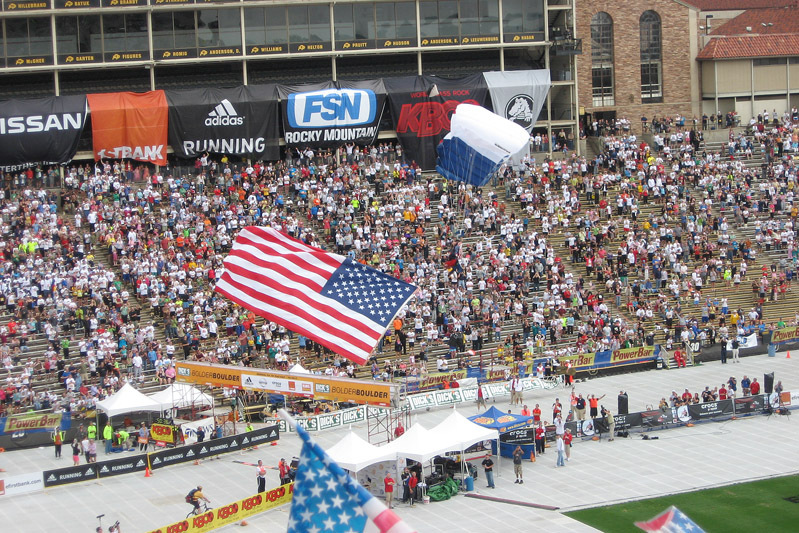 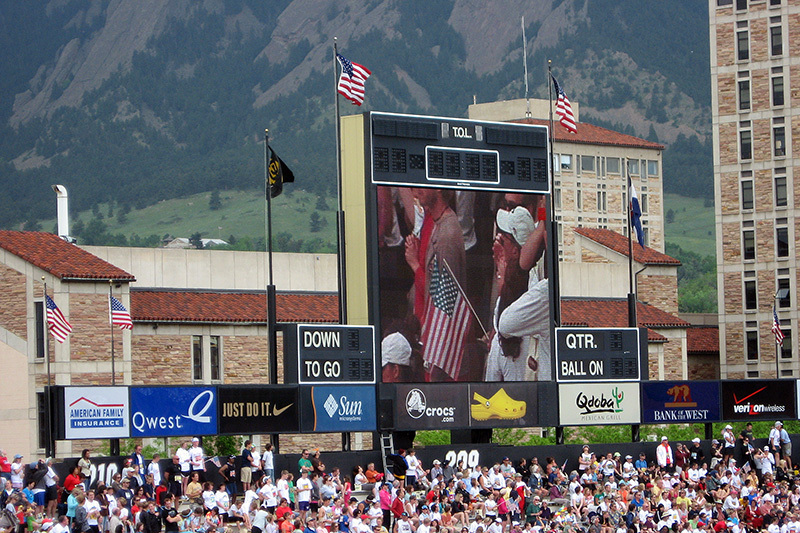 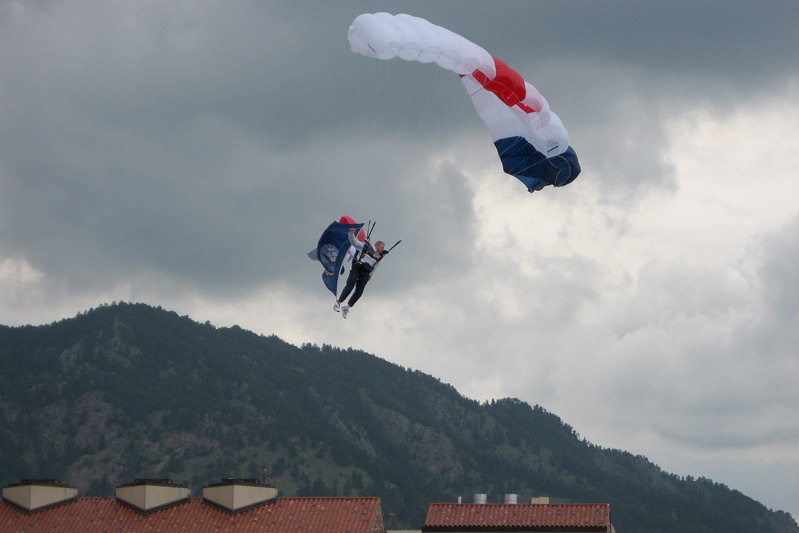 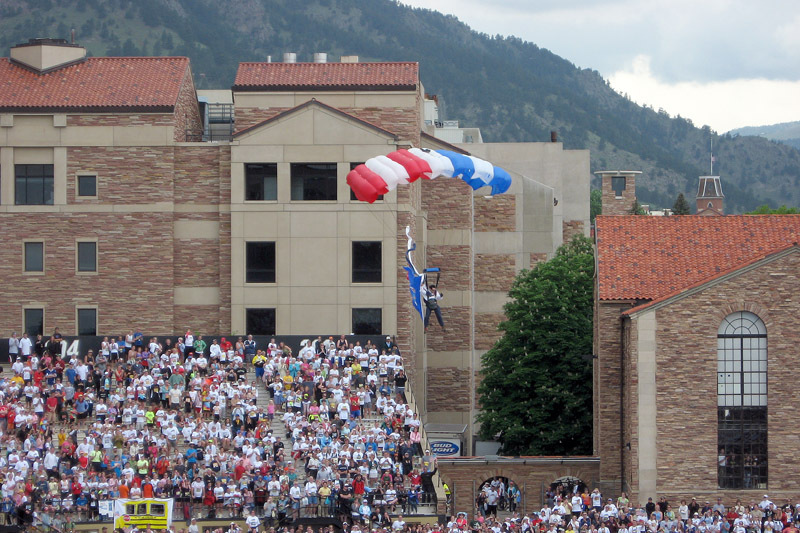 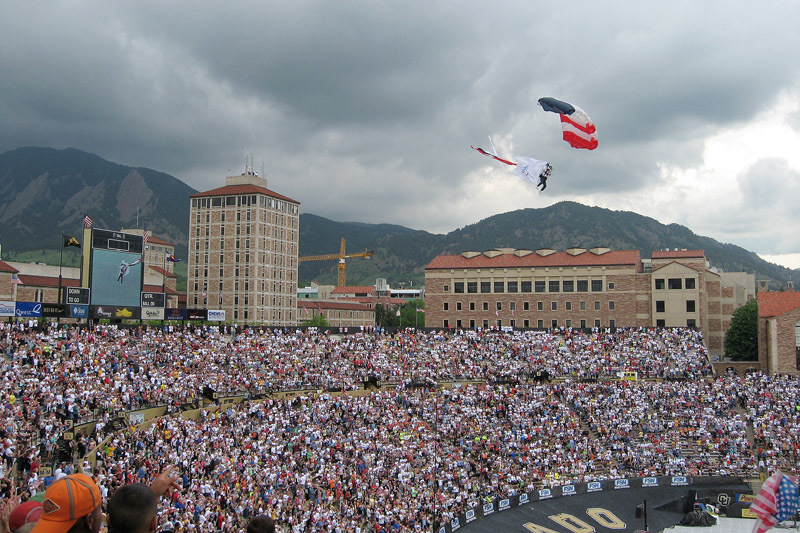 The Bolder Boulder always culminates at Folsom Field and features one of the largest Memorial Day Tributes in the country featuring dedications to armed service members, patriotic music, sky divers and a military jet flyover.